October 1, 2018, occurring annually, is National Seniors’ Day and we are pleased to participate along side of the Government of Canada to acknowledge and observe the life-long contributions of our wonderful nation’s seniors. This day is dedicated to the pillars of our families, community and society. Together, we will collectively show our gratitude for the paths our seniors have paved for those of us who follow behind. On this day, we will proudly host our 2nd Annual ReVitahealth Community Health Fair, and we invite you (whether you are a senior or not) to join the celebration. The Seniors’ Day Health Fair includes health speakers, short exercise sessions (Zumba, dance-fitness), demonstrations, give-aways, raffles and food vendors. This year, we have added LIVE musical performances from Canadian recording artists, karaoke, chair massage and FREE hair cutting services (for seniors only). We are expecting up to 700 guests so it will be a great way to learn, socialize and meet new friends. Recommendations/What do you need to know? Come prepared to MOVE and join our exclusive group exercise classes that infuse Latin Rhythm, Zumba, Waltz, Swing and Hip-Hop top 80’s/90’s hits. Our classes are inclusive and open to all levels of function and abilities. Wear comfortable clothing (i.e sweat pants, yoga pants, tees and running shoes). We will have up to 50 vendors who will be selling a variety of health and wellness products/services. Please note that all transactions (buy, return, or exchanges) must be channelled through the vendor of original sale. The fair will be taking place on 2 levels, the lower level and ground floor gymnasium. Be sure to stop by the vendors on the lower floor also. There will be elevator access between floors. Our goal for this month is to help with increasing awareness of organ and tissue donation and to let you know that only minutes of your time and make a major difference to many. Contact Canadian Blood Services to find a location near you. “It’s in you to give”. Gone are the days of dragging yourself to a mundane fitness class only on the premise that exercise is supposed to be “good for you.” We believe that exercise should be stimulating and invigorating while adding value to your life. Our customized fitness classes bring plenty of variety that are flexible to suit any level of function. We offer full-body resistance training, gentle stretching and dance-fitness that includes Latin Rhythm, Waltz, Swing, Zumba and Hip-Hop movements for adults and seniors. All instructors are certified personal trainers, licensed therapists and choreographers that will guide you each step of the way to help you maximize efficiency and deliver results. 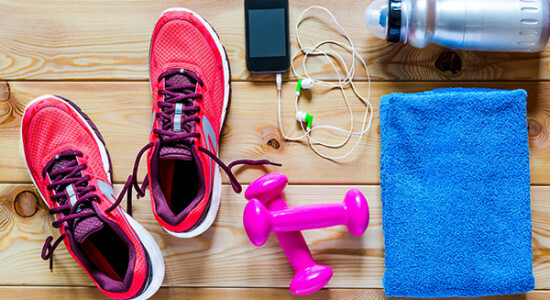 Whether you are a beginner or have been working out for some time, you will leave feeling invigorated and highly motivated towards achieving your health goals. We’ve heard the phrase that “there is strength in numbers” and if you are a part of a special interest group, a business or would like to organize a few participants to specifically start a fitness class, we will happily assist. Have your organizer contact us and we will arrange any variety of our classes at your location. 1-844-738-4821. Try your first class FREE with no obligation. 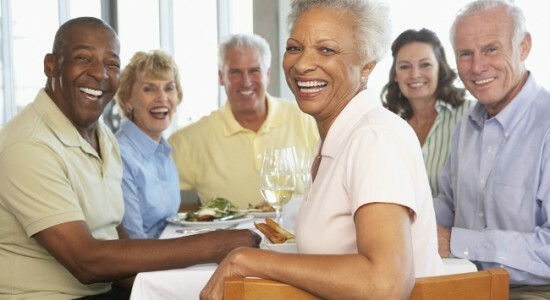 SAVE with our monthly pass of $25 per month (seniors), $35 per month for adults. We also offer a referral program, where you will earn 1 month FREE for every 2 NEW members that sign up for any monthly pass. Please note that passes are NOT transferable. Gift certificates are available. *Participants will be required to complete a health questionnaire and consent form. Seniors are the pillars of our families and communities and we would like to invite you to a midday afternoon celebration on their behalf. Join us for FREE exercise dance-fit classes (for seniors AND adults). You will have the opportunity to sample mini workouts from ReVitahealth’s very own fitness instructors by learning short introductory routines in Zumba exercise and other genres. Light refreshments, a short health talk are also included. All ages are welcome, bring your family and friends! It’s a Midday social!!! The ReVItahealth Active Seniors & Dance Classes are strategically designed to help improve or maintain muscle strength, bone strength and to improve cardiovascular health. Our classes incorporate low-impact movements, toning and balance exercises all aimed to reduce the risk of falls and to help you live independently, longer. You will be a part of a fun and insanely addictive exercise and dance workouts that are stimulating, sociable and consisting of easy-to-learn choreography. You’ll have the opportunity to participate in group exercise classes or dace your way into better shape by learning Latin Rhythmic moves, tango, waltz and hip-hop choreography. They say that ‘The spice to life is variety’ and we will provide you with just that. May we add, NO EXPERIENCE IS REQUIRED! Our instructors are highly trained and certified for your peace of mind. Drop in classes are $5 per class or SAVE with our Monthly pass of $30 per month. (equivalent to only $3.75 per day with purchase of a monthly pass). Save an additional 10% on your membership when you choose to commit to a yearly pass when fees are paid in advance. NEW classes starting Tuesday, May 30th. Tuesdays and Thursdays from 10am to 11am thereafter. 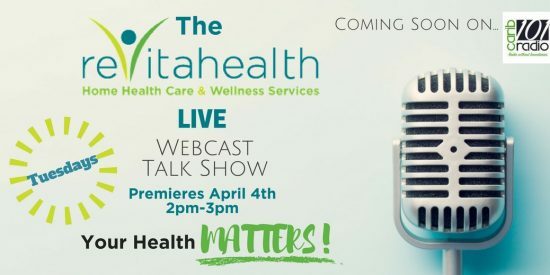 Introducing the ReVitahealth Webcast Health Talk Show! Simply tune in on Carib101.com or watch LIVE on our Facebook, Instagram, or Twitter feeds. Would you like to be a guest on our show? We’d be happy to have you join us. Email us at info@revitahealth.ca for more details. We look forward to starting the discussion with you. With ReVitahealth, your health MATTERS! Are you at a stand still when it comes to making decisions about how to include healthier options at your dinner table? Perhaps you’ve been exercising for quite some time but just can’t seem to get the food side of the equation to help you see results. We’ve heard your frustration and have decided to act! 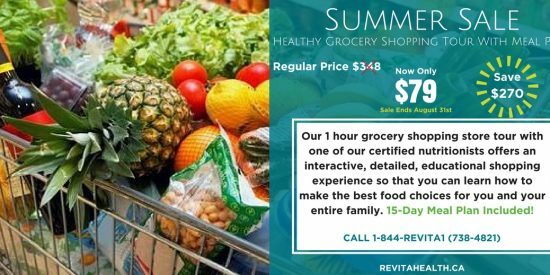 ReVitahealth is offering a never before, one of a kind Summer Promotion that will address all of the fundamental questions regarding nutrition. We have combined our already reduced Grocery Store Shopping Tour AND 15-Day Personalized Meal Plan into one solid combination, providing you with a savings of $270!! Yes, you have read correctly. For 1 full hour, you will participate in a guided tour around your local grocery store with one of our certified and experienced nutritionists who will educate you on various principles of healthy, clean eating. Ask all the burning questions that you’ve ever wanted to know about nutrition; it’s your perfect learning opportunity. Afterwards, you will be provided with a ‘fool proof’ 15-Day Meal Plan designed to give you results, also including 1 follow call from your assigned nutritionist. *Not to be combined with any other offer, promotion ends on August 31, 2016, savings are not redeemable as cash, please verify with your family physician before participating. 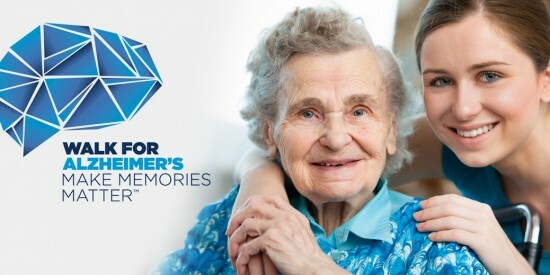 ReVitahealth is a proud sponsor of the Walk for Alzheimer’s – Mississauga Event known as Canada’s biggest fundraiser for Alzheimer’s disease and other dementias. The walk will be taking place on Saturday June 4, 2016 @ 9:07 A.M.
Each year, the World Health Organization (WHO) campaigns to increase awareness about any particular health concern or disease across the globe. April 7th, World Health Day, the focus will be on diabetes. According to the Canadian Diabetes Association, there are 11 million Canadians living with diabetes or pre-diabetes and they state that every 3 minutes, another Canadian is diagnosed. Who indicates there are 350 million people diagnosed with diabetes worldwide! These are alarming statistics considering the majority of those diagnosed with diabetes are due to a poor diet and the lack of exercise. We recognize that good health goes beyond just 1 day, however, by participating in this very easy challenge, it can start you on the right path towards prevention and a healthier lifestyle. Our online challenges have been exhilarating and filled with several stories of success. ReVitahealth is doing it again!! 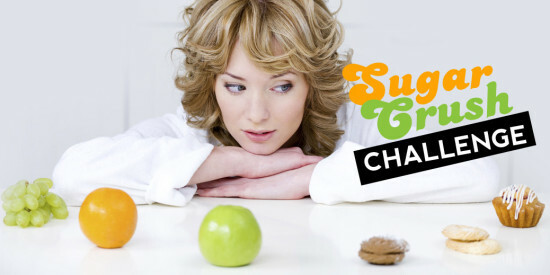 We are inviting 50 participants to join our FREE Sugar Crush Challenge just in time to kick-start the New Year. After all of the holiday festivities filled with cakes, cookies, chocolates and libations -for those who take part, we are encouraging you to crush the refined sugar addiction for the first 31 days of January 2016. ReVitahealth is inviting you to participate in our FREE 3 day juice cleanse starting on October 15th -18th, 2015 reboot your metabolism from the comfort of your own home. We will provide you with a shopping list of required items and juice recipes 3 days before the start of the cleanse. 1) For maximum results, ingredients should be freshly juiced daily and consumed within the same day. Visit our Facebook page for additional updates and add your name to the invitation. We’re looking forward to having you join us. Feel revitalized with ReVitahealth! 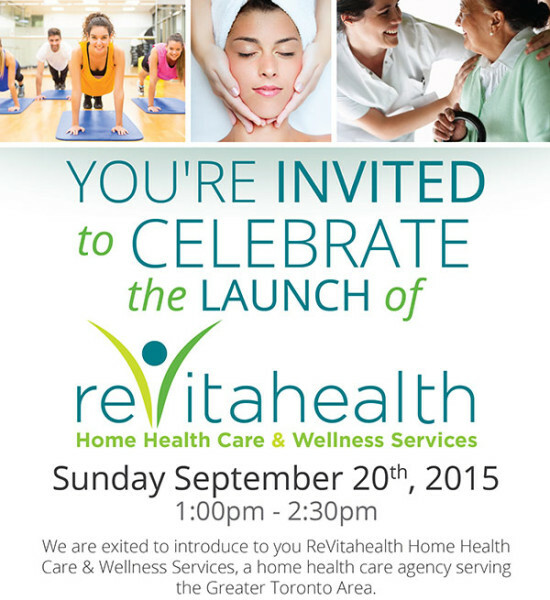 ReVitahealth is pleased to invite you to our cocktails & conversation FREE launch event on Sunday, September 20th, 2015 at 1PM to 2:30PM. Come on out to meet the ReVitahealth team and learn more about our comprehensive health and wellness services. It will also be a great networking opportunity for students, health care professionals, health enthusiasts and the surrounding community. We are approaching the last quarter of the year and in review of the last 8 months, have you been able to achieve your health and fitness goals for 2015? Have you possibly already conceded to the notion of defeat and have decided to cast yet another failed New Year’s resolution away into history? If so, we have good news – all is not lost. ReVitahealth is here to help you close out 2015 with a BANG!! Starting September 1st, 2015, ReVitahealth is inviting you to a 30-day fitness challenge. We are encouraging all of our followers to incorporate healthy eating habits AND to adapt at least 30 minutes of exercise daily! As part of the challenge, participants must upload post-exercise photos for encouragement and accountability. Add the hashtag #revitachallenge to your photos on Facebook. Visit our Facebook page www.facebook.com/revitahealth for some of our favourite healthy recipes and for various topics in health news. • A massage treatment from our mobile spa by one of our very own Registered Massage Therapists! Let’s get ready to MOVE!!! *Prize awarded to contestants living within the Greater Toronto Area ONLY, however, ALL are welcome to participate. ReVitahealth is dedicated to assisting the local community. On Mondays and Wednesdays from 10:30am to 2:30pm a member from our team renders health education seminars and leads discussions on various health topics. All seniors are welcome to come out and participate in games, exercise and other socializing activities. A light healthy snack is also provided.